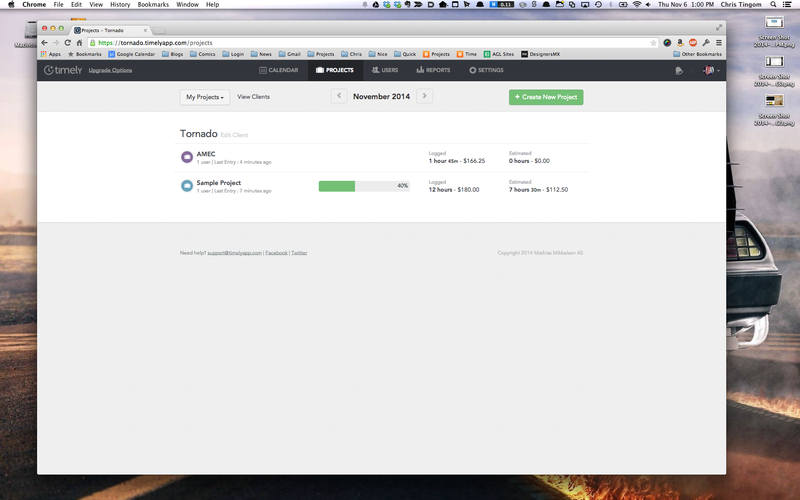 Just ran across this app while browsing the excellent “Product Hunt” web site. Looks like a really clean UI with a fast design. 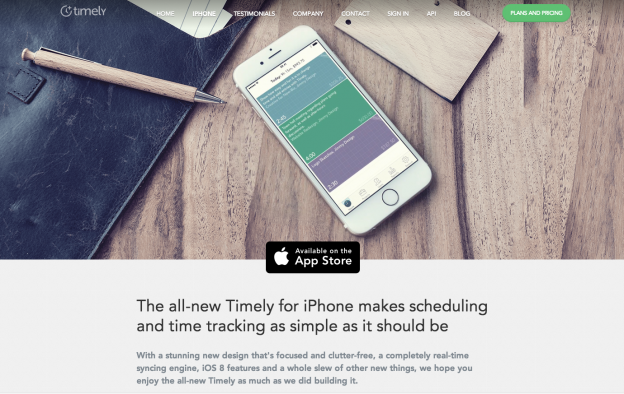 Timely has a free plan, that allows 1-user to have 3 projects. 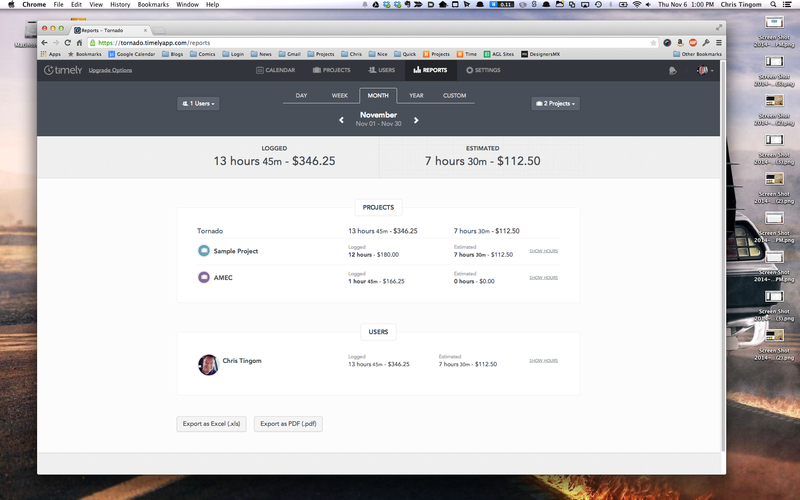 The next plan for one user with unlimited projects comes in at $14 per month. Slightly more than comparable products. On that note, while the picture they show on their home page shows an iPhone, they also have a view designed for desktop – in the browser. I went ahead and created an account on the free plan, since it was free! I like how when I first signed in it had a sample project pre-made so I could see how the app looks with real information. The interface is super clean, and fast. 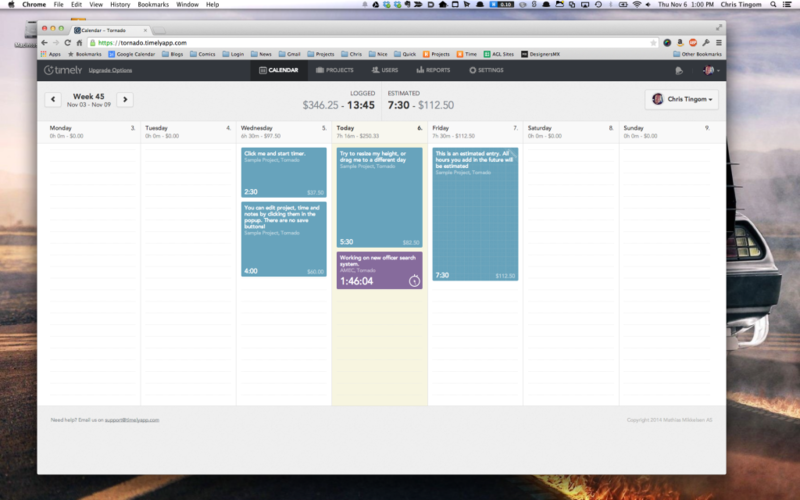 What’s cool is that when you are looking at your calendar view, you can see your week and all of the time you have entered so far. There’s something here that is rarely seen in time tracking apps: The ability to see gaps in your time entries. Boom! I can’t tell you how many times I’ve requested this feature from time tracking apps. Oh, you know what else is cool? You can begin a timer, pause it, and then continue. On that note, it fills up the gap you just created. Not sure if I like that, but, you could always make a second timer. A time entry can also be an item on your calendar. That’s neat. So, I can create a time entry for next week… and then it’s some scheduled time. I’m not really sure how that works with billing. What if I forget to remove an item? I’ll includes some screenshots below.